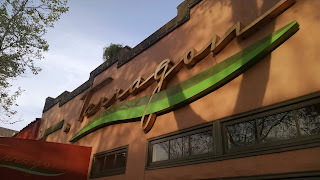 Tim introduced me to Tarragon on the Murphy Street restaurant row next to Sunnyvale Town Center. It's a large, pleasant space. 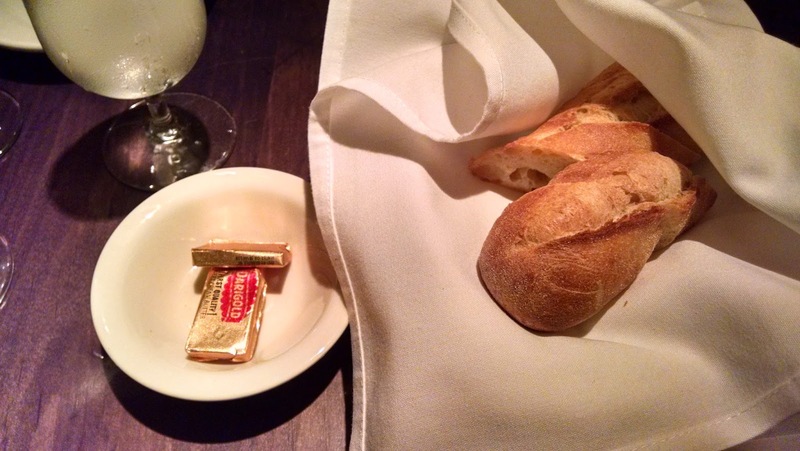 Service was very courteous. 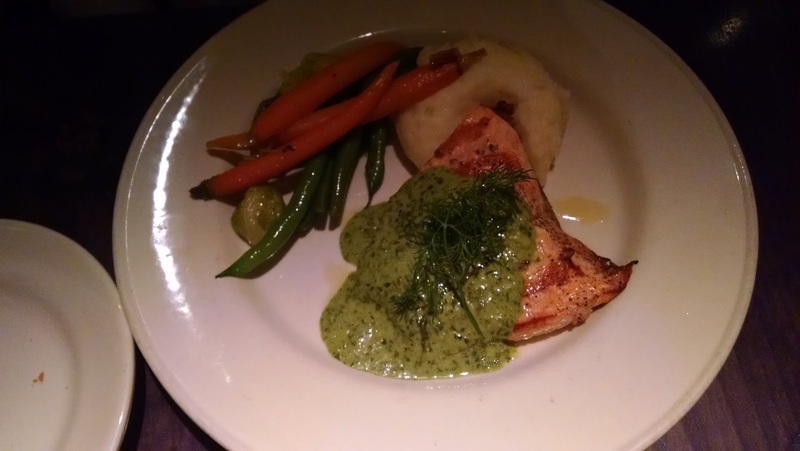 The menu is varied: steak, seafood, pizzas from a wood-fired oven, and a pretty good selection of vegetarian items. Our bread was fresh out of the oven. 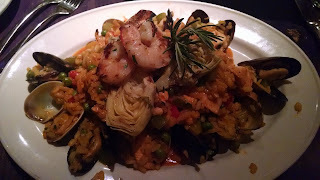 I greatly enjoyed my seafood paella. It was filled with shrimp, clams, salmon, cod, and various other tidbits. I don't think it had any sausage, which was fine with me. The creaminess of the rice makes this a very comforting dish. 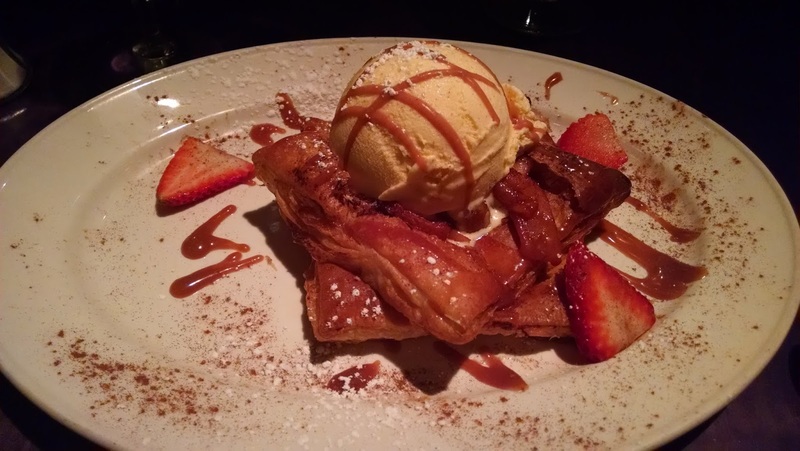 We ordered this apple turnover to give us more time to catch up. The thing was huge---practically a meal by itself. The pastry was rich and went very well with the ice cream.